Support in leading Tanzania's field staff and shaping the core operations strategies. 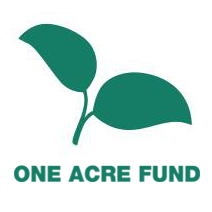 Tanzania: Currently serving 24,000 farm families, Once Acre Fund has continued to expand their operations throughout Tanzania since opening in 2013. Job Description: The Field Operations Project Specialist will occupy a dynamic client-facing role with a large degree of scope to help shape the Tanzania core operations strategy. This role will also provide direct management support to staff members, while growing and building a team culture and ethos. Your work will be fast-paced, exciting, and diverse. You will create lasting and noticeable impact for hundreds of thousands of smallholder farmers and you’ll have fun doing it. You’ll work alongside our field team and our farmers alike, and travel widely within our organizational operation. Most importantly, you’ll always be driving towards actionable impact – no empty reports, no mundane policy memos; just high-quality research, analysis, tools, and results. Humility. We are looking for passionate professionals who combine strong leadership skills with enthusiasm, patience, and a humble approach to service to join our growing family of leaders.